RANGOON — Since September 2011 to date, fighting has been on and off in Kachin Independence Army (KIA)-controlled areas in northern and northeastern Burma, particularly in Waingmaw, Mansi, Tanai, and Hpakant areas near Laiza and northern Shan State. Reports of residents being killed or injured have been frequent.Over 100,000 people have been displaced and lived in the IDP camps for six years. They still do not know when they will be able to return home. Airstrikes against the KIA started at the end of 2011—despite former president U Thein Sein instructing the Burma Army on Dec. 10, 2011 to cease offensives against the KIA and only act in self-defense. Tensions escalated in the northernmost part of Burma as Burma Army helicopters reportedly shelled several KIA bases in May 2012. 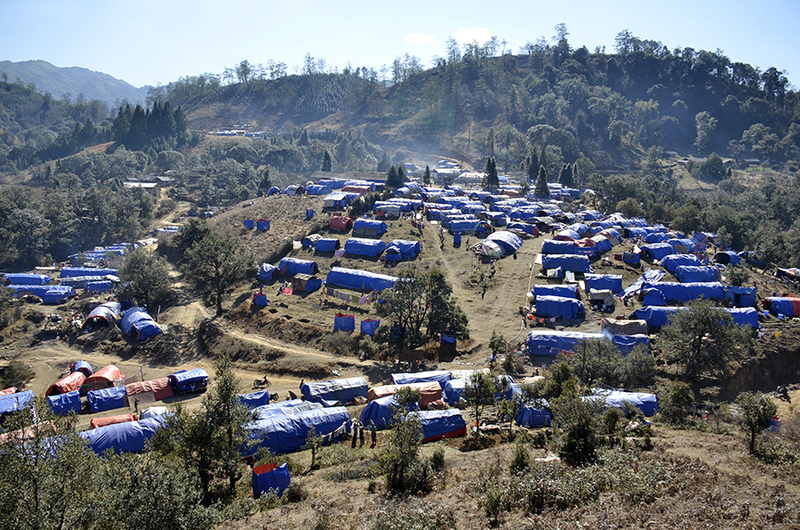 In August of that year, an estimated 6,000 residents from more than 20 villages in Hpakant Township were displaced. 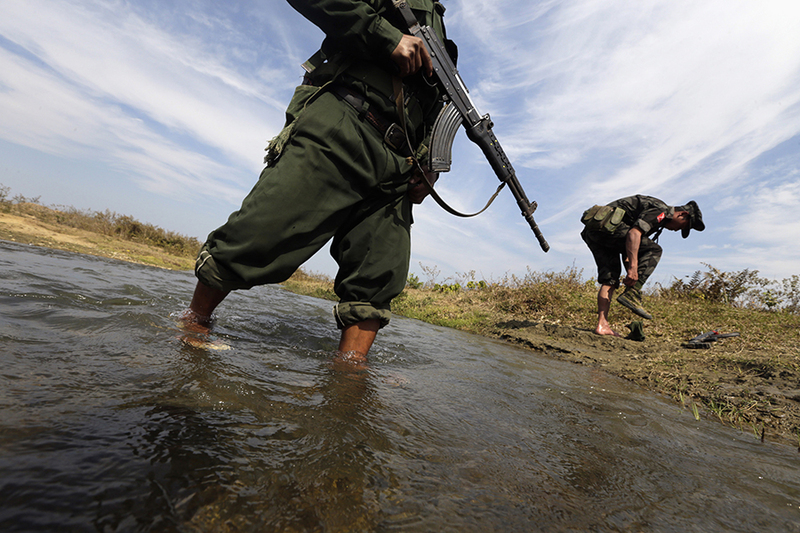 Airstrikes were repeated in December; the Burma Army claimed they were in response to attacks by the KIA. In February and May 2013, the government and the KIA held peace talks in Ruili, China and in state capital Myitkyina respectively but did not reach agreement on signing a ceasefire. In late 2013, the KIA hosted an ethnic armed group conference in Laiza and decided to form the nationwide ceasefire coordination team (NCCT) to communicate with the government in order to draft the text for the government’s nationwide ceasefire agreement (NCA). The NCCT was later dissolved in late 2015. In late 2013, another 2,000 villagers were displaced in Mansi Township due to clashes between the Burma Army and the KIA. The KIA was engaged not only with the Burma Army, but also with the Burma Army-aligned Kachin Border Guard Force (BGF) by the middle of the year. At least six civilians were killed and twelve injured in 2012 and 2013 and some 178 Burma Army soldiers were killed in 2014, according to close KIA ally the Ta’ang National Liberation Army (TNLA). In 2014, more than 5,000 civilians were displaced in eastern Kachin State and neighboring Shan State, due to a week of clashes in April. In May that year, the government and the KIA’s political wing the Kachin Independence Organization (KIO) set up a peace monitoring commission, which was halted after the new National League for Democracy (NLD)-led government took office in March 2016. Peace talks through the NCCT were ongoing well until August 2014, when in a NCA drafting meeting the Burma Army raised its six-point stance on the peace process, which included pursuing democracy in accordance with the 2008 Constitution and strictly abiding by the country’s existing laws. Peace talks nearly broke down after the Burma Army shelled a KIA training ground in Hka Bhum base on Nov. 19, 2014, killing 22 ethnic cadets, and injuring 15 others. KIO/KIA leaders led by then-secretary Dr. La Ja and then-deputy commander-in-chief Gen Gun Maw visited the capital Naypyidaw and met the previous government and commander-in-chief Snr-Gen Min Aung Hlaing for the first time in mid-March 2015. The 16-member NCCT signed a deed of commitment, supporting the NCA accord in March 2015. The KIA decided against signing the NCA in October that year alongside the Shan State Army-North, New Mon State Party, and the Karenni National Progressive Party, who all stood for the “all-inclusion” of ethnic armed groups. Fighting intensified again for three weeks in May 2015 in KIA controlled areas, near a village abandoned in 2012 named Nam Lin Pa—with the Burma Army launching airstrikes and artillery shells. The KIA and an ethnic bloc of which it is a member the United Nationalities Federal Council joined Daw Aung San Suu Kyi’s 21st Century Panglong peace conference in Naypyidaw in August and September 2016, despite military engagement in the run up to the conference. Nearly a week of fighting between the KIA and the Burma Army near Shahtu Zup village in Tanai Township led to school closures and around 1,000 civilians fleeing along the Tanai-Hpakant highway in mid Aug 2016. In Myitkyina, Kachin man Lungjung Tu Raw was charged with violating Burma’s Peaceful Assembly Law for organizing a protest calling for an end to Burma Army offensives in the region, despite receiving permission from authorities. Police said not all of the slogans were pre-approved and thus he violated the law. In November 2016, the Northern Alliance, of which the KIA is a member, attacked and occupied the Muse border trading zone in northern Shan State. Because of the attack, the Burma Army used the term “insurgents” against the KIA and its allies—a further obstacle to peace negotiations. Since Sept. 2016, the Burma Army heavily attacked KIA outposts surrounding Laiza and the KIA lost four strategic outposts in December after four months of Burma Army offensives. On Oct. 3, 2016 a two-year-old girl was killed and her two brothers, aged five and six, were severely injured in Puwang village in Muse Township, northern Shan State, due to artilery shelling. Neither the Burma Army nor the KIA has taken responsibility for the incident. In early 2017, the KIA joined the United Wa State Army (UWSA)-led alliance and planned to leave the UNFC, which it was chairing. In February and April, the seven-member alliance met in Panghsang, the capital of the Wa self-administered region and proposed an alternative peace process, calling the current NCA flawed. In late May, members of the UWSA alliance, including the KIA, attended the opening of the second session of the 21st Panglong union peace conference in Naypyidaw and joined a dinner hosted by State Counselor Daw Aung San Suu Kyi. The KIO’s vice chairman General N’Ban La and his wife also met with Daw Aung San Suu Kyi on May 26, after the KIO representative told the Irrawaddy that the meeting had opened the future negotiation path. Fighting between the KIA battalion 14 and Burma Army troops at the Maisa outpost started on June 3, 2017 near Nambyu and N’Ga Ga villages in Tanai Township, which led around 1,000 villagers to flee. Authorities stopped more than half of those from moving. February 1947—Kachin leaders signed the Panglong Agreement with the Burmese government, which laid the foundation for the creation of a fully autonomous Kachin State. February 1949—Naw Seng, a Kachin military officer in the Burmese army, defected to the Karen rebels along with his battalion. He then led the first Kachin rebel army in the fight for Kachin independence. February 1961—Parliament under then Burmese Prime Minister U Nu declared Buddhism as the state religion, infuriating the mostly Christian Kachin population. February 1961—A group of educated young Kachin men founded the Kachin Independence Army (KIA) and pledged to fight for a free Kachin republic. Intense fighting with the Burmese army ensued. August 1963—Burmese Gen Ne Win, who came to power after staging a military coup, held peace talks with ethnic armed forces, including the Kachin. However, negotiations broke down after the ethnic representatives rejected Ne Win’s demands, which included a condition that their armed forces must be concentrated in designated zones and their activities must be disclosed to his regime. October 1980—Brang Seng, the chairman of the Kachin Independence Organization (KIO), the KIA’s political wing, went to Rangoon and met with Ne Win for peace talks. He asked the Burmese government for Kachin State autonomy with self-determination. December 1980—The Burmese government rejected the KIO’s demand for the inclusion of autonomous rights in the Constitution, saying the demands had not been accepted “by a vote of the people.” Peace efforts broke down and fighting resumed. July 1993—KIO delegates negotiated with Burmese military leaders over a ceasefire in KIA-controlled areas in Kachin State and Shan State. The KIO’s major demand was regional development. February 1994—The KIO signed a ceasefire agreement with the ruling military regime of the State Law and Order Restoration Council. September 2010—The KIO formally rejected the Burmese government’s plan to accept the Border Guard Force plan, which would subjugate the KIA under Burmese military command. The KIO called for the emergence of a genuine federal state. Naypyidaw subsequently forced the closure of KIA liaison offices in Kachin State. September 2010—Burma’s Election Commission rejected the registration of three Kachin political parties from running in the country’s first national elections in 20 years, saying the party leaders were linked with the KIA. May 2011—The KIO sent a letter to the Chinese government to withdraw its investment from a massive hydropower dam project in Kachin State, warning that local resentment against this project could spark a civil war. June 9, 2011— Fighting erupted between KIO and Burma Army troops on, when government forces broke the ceasefire and attacked KIA positions along the Taping River east of Bhamo, Kachin State, near the Ta-pein hydropower plant. Timeline of key events from 1947-2011 was researched by Ba Kaung.